Predictions are a very valuable tool for identifying opportunity and managing risk, which is why they’re used so often in nearly every human pursuit. A problem with this reliance on human or algorithmic predictions, especially in the volatile world of business, is that they can be wrong, sometimes disastrously so. Even so-called experts often struggle to make accurate predictions, especially in the US legal system. Look no further than the “surprise” of Gorsuch’s appointment, for example. It’s understandable to make these misses, given the complexity of the U.S. legal system, but that does not change the fact that businesses have found the legal system perpetually difficult to predict. The question, then, is what causes the legal system to be so hard to predict? Are humans simply bad at it? Is the system too complex? Since 1979, Science has addressed questions like these by publishing papers that help “bridge the distance between science and citizen.” This March, Science included an unusual publication in their magazine – a paper by LexPredict’s co-founders Michael J. Bommarito II and Daniel Martin Katz. There is currently a push for legal solutions designed with the properties of complex adaptive systems in mind. This movement is growing, but the scientific support for the push is not. Enter our founders’ paper, aptly named “Harnessing Legal Complexity”. The paper advocates a research agenda to try to fill the gulf of missing support for these assertions about legal complexity. 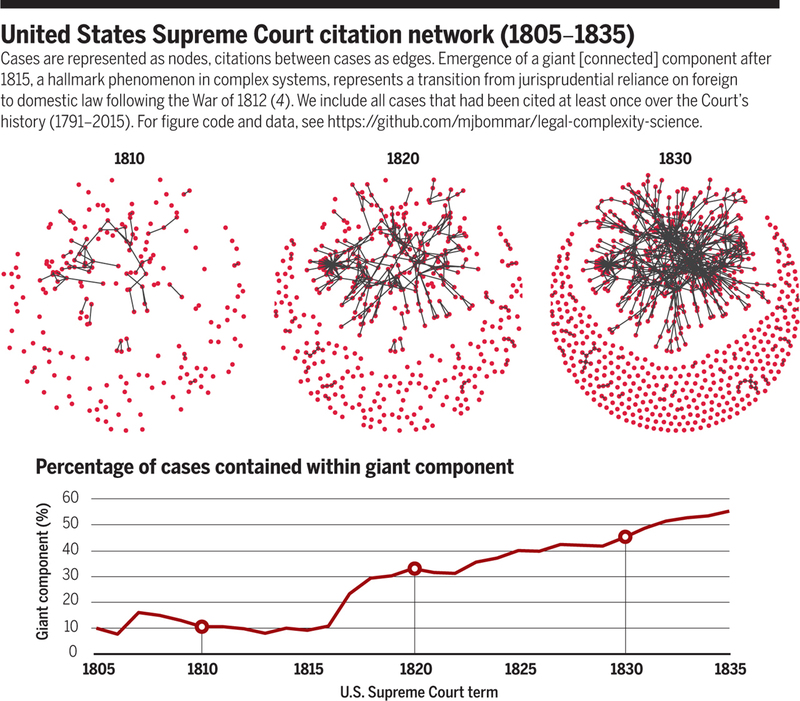 In the paper, Michael and Dan, together with co-author JB Ruhl, outline a way to apply the tools of complexity science to the U.S. legal system in order to better monitor and manage it. In doing so, this can enhance our ability to understand and predict the legal system. Interested readers can read the paper in full at Science here. To learn more about ongoing research in law and complexity, please visit legalcomplexity.com.